Vidyard is the leading video platform for business. Vidyard CEO, Michael Litt, tells CBRE Forward how they deliver value beyond compensation for their employees. 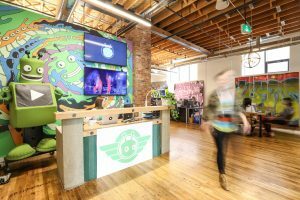 At Vidyard, we put tremendous effort into making sure that we offer competitive compensation to our employees, especially because we compete for great talent across our region every day. But compensation hasn’t been the only reason why people join our team, and it rarely comes up as an issue in our employee surveys. Instead, we constantly hear from our employees (and job seekers) that they’re focused on finding work within companies that offers them the opportunity to make meaningful contributions, and their primary focus is working alongside passionate people. Our values hold strong at Vidyard and our employees bring those values to life each day. We believe in Winning With Experience and Celebrating Our Successes (and failures). We’re also focused on helping every Vidyardian, a name we call our staffers, see how they contribute to our overall company success by openly sharing quarterly results, hosting impromptu town halls, sharing hot topics, and more. Leaders on the team are always encouraged to help employees see how individual contributions make an immediate impact on our business, and learning is always top of mind in those discussions. 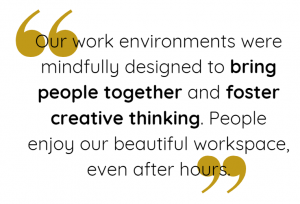 Our work environments were mindfully designed to bring people together and foster creative thinking. 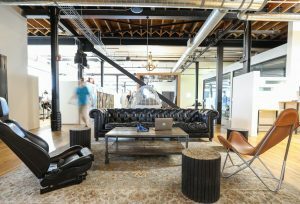 People enjoy our beautiful workspace, even after hours. We made the choice open up our office to a variety of community partners as well, giving them a perfect environment to host public events and bring passionate people together. Lately, we’ve seen events from groups that support women in coding, topics of diversity and inclusion, university-hosted career panels, and even visits from the Prime Minister and former Premier of Ontario. As a company, we also put a strong emphasis on personal health and wellbeing, too. We offer all employees an annual $1,000 towards health and wellness programs, a comprehensive health and dental plan, RRSP/401K matching, onsite wellness activities like yoga, employee stock option plans, $1,500 toward professional development activities, $1,000 toward professional association fees, on-site education for personal financial planning, access to Employee Assistance Program services and much, much more. Community involvement is also important to Vidyardians. Many of our teammates take on volunteerism programs they’re interested in. 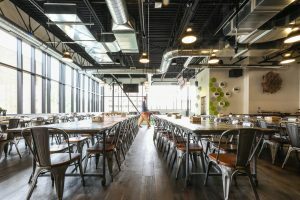 Each day, for example, Vidyard offers free catered lunches to staff and has set up a program where volunteers like Brendan O’Driscoll, Vidyard’s technical writer, packs up the leftovers for delivery to the local men’s shelter. Outside of the daily food donations, two groups of Vidyard employees also volunteer their time twice a week at the shelter. But we can’t forget the basics, either. Perks like the delicious onsite snacks and beverages help to keep team members energized. Our kitchen has become that place where Vidyardians gather, share and laugh. Vidyard also founded Plugin, a not-for-profit, Vidyard-sponsored organization that hosts events to bring young professionals together in fun and unconventional ways to connect, build and maintain the community in the downtown Kitchener, Ontario ‘Innovation District.’ Once a quarter, community events raise money toward public services and fundraising initiatives. Vidyard is constantly striving to find what drives the highest of performing teams, and so far, we’ve found that it’s all about striking the perfect balance between passion and skill. We’ve built a culture of commitment around that. And, guess what, we’re hiring!